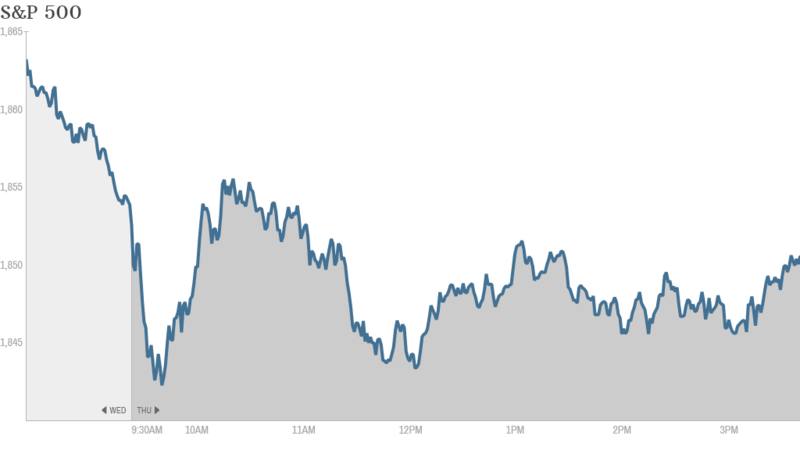 Stocks continued their March swoon Thursday, and banks were among the biggest losers. The Dow finished basically flat, while the S&P 500 and Nasdaq ended in the red. The Nasdaq is now down for the year, although tech stocks took a back seat to the financial sector today. On Wednesday, the Federal Reserve rejected Citigroup's capital plan, saying it was troubled by the bank's inability to predict how much it could lose in a severe economic downturn. It banned the bank from any dividend hikes or share repurchases for the next year. Citigroup (C) shares dropped over 5% Thursday. Citi was among 30 large banks required to submit capital plans for an annual stress tests. The Fed approved 25 plans. Citi and four other smaller banks were turned down. "$C Just can't get its house in order," said TexanGal on StockTwits. Bank of America (BAC) shares gave up earlier gains even though the bank announced an increase in its dividend and a new stock buyback plan. The firm also unveiled a $9.5 billion settlement with the Federal Housing Finance Agency. The deal settles all litigation between Bank of America and the agency over the use of mortgage-backed securities in the run up to the housing meltdown. One trader on StockTwits thought the stock should have moved higher on the news. "$BAC what a disgrace. We got a dividend and buy back and we settled a big lawsuit," said WarrenNewyork. On the earnings front, Lululemon (LULU) popped after the yogawear maker reported quarterly increases in revenue and net income. The stock was up over 6% even though it also had a slide in same-store sales. Brian Sozzi of Belus Capital Advisors, wrote that this decline for the athletic wear maker was a "once unthinkable development." StockTwits user Dank104 wasn't too impressed by Lululemon's results. "$LULU why is this moving up so much? earnings and forecast were better than expected, but not spectacular," he said. GameStop (GME) shares tanked after the video game retailer missed earnings estimates and gave a lackluster outlook for the current quarter. The company was hit hard by Wal-Mart's (WMT) announcement last month that it would buy used video games, a business which is traditionally GameStop's bread and butter. "$GME It's only a matter of time before GameStop dies off. Games are now sold through your system (PS3/4, XBOX..). More convenient," said MichaelStephen. Honeymoon over for new BlackBerry CEO? BlackBerry (BBRY) was downgraded to a "sell" by an analyst at Société Générale. Shares slumped on the news. The stock has had a rough go of it in recent years, but has rallied around 21% this year on hopes of a turnaround. 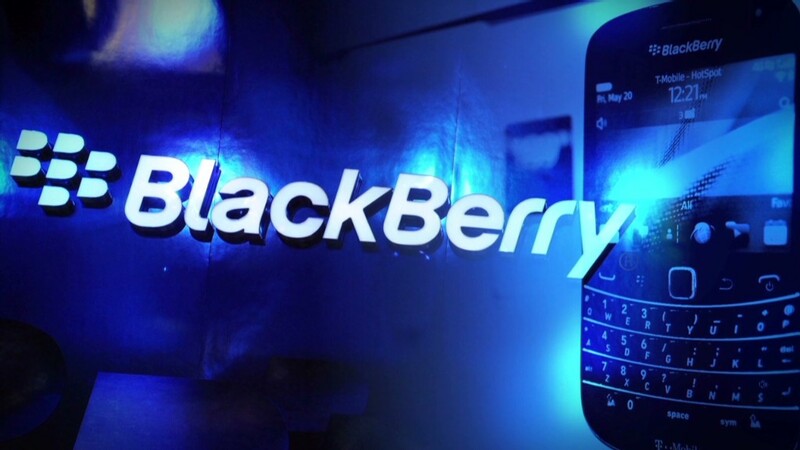 BlackBerry is the second-best performer in CNNMoney's Tech 30 index. The company will report its latest quarterly results on Friday morning. Accenture (ACN) dropped 5% after reporting a decline in quarterly net income. The technology services company was recently hired to work on the Obamacare website. King Digital Entertainment (KING) shares dipped again. The maker of online game Candy Crush Saga took a beating in its initial public offering on Wednesday. Despite an IPO price of $22.50, the stock is trading under $19. European markets finished mixed. The International Monetary Fund said it was throwing Ukraine an $18 billion lifeline. Asian markets also ended mixed. Japan's Nikkei rose. But Chinese stocks fell. Shares of online giant Tencent (TCEHY) fell by nearly 6% in Hong Kong. Investors and traders have been growing concerned that valuations have become too rich for Chinese tech stocks ... much like investors in the U.S. have regarding the likes of Facebook (FB) and Twitter (TWTR).